If you're traveling to Hong Kong on a budget, but are willing to splurge a bit on accommodations, the futuristic L'étoile de Mer pod hotel in Causeway Bay may be the perfect place for you. 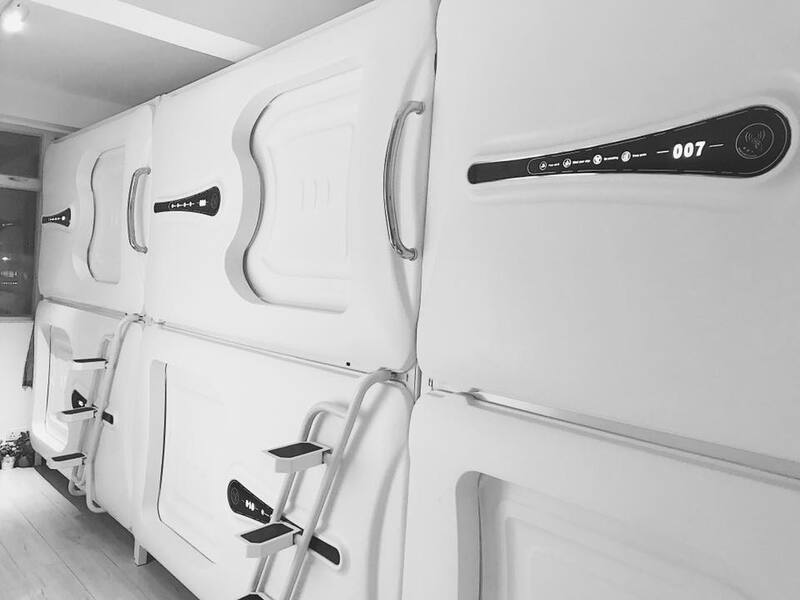 Though you do share a room with other travellers, the personal, futuristic style pods at L'étoile de Mer are a fun alternative that give you more privacy than bunking up in a hostel dorm. At L'étoile de Mer you can choose between two rooms - a mixed room or females only room. I opted for females only, because it was only a few extra dollars per night. In the ladies only room there are eight pods, and a spacious, shared, private bathroom with a spotless overhead shower and all of the necessary hotel amenities. Each pod has a door that slides open and closed and can be locked. Inside, there is a well lit mirror, retractable lap table, light and air conditioning controls, and multiple universal charging ports - (This was my favorite feature... because most budget accommodations provide you one outlet and, if you're lucky, one USB port per bunk. Staying fully charged is important)! Either I was exhausted from getting a few hours sleep the previous night and travelling all day, or these pods are SUPER comfortable - Though it was a little bit warm, I slept like a baby. I also realized, after the fact, that I was in pod 007, so just call me Mrs. Bond. The location was a bit tricky to find at first, as this is a very small place and there are no signs for it on the street level. The entrance is located just beside Royal's Pub on Canon Street near the intersection with Gloucester Road. 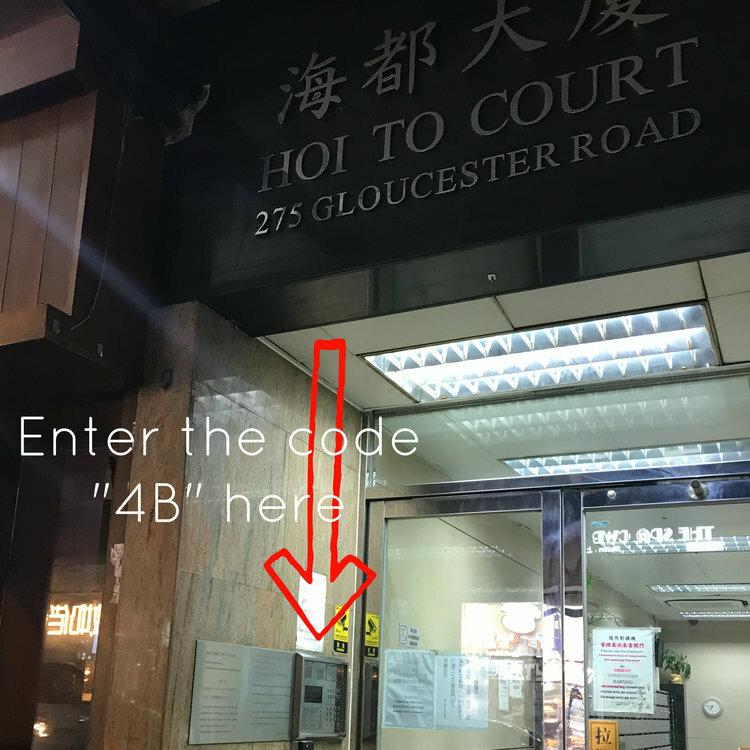 Enter code 4B to open the door and then take the elevator to the fourth floor. Once there, you'll see signs for L'étoile de Mer. (Be prepared to check in with some form of ID on the kiosk outside the door - a license or ID card processes more quickly than a passport. The machine will then provide you with a QR code used to open the door and a key card to get in to your pod). Despite being a little bit hard to find at first, L'étoile de Mer's location, right in the heart of Causeway Bay, is prime. It's just a short walk away from Victoria Park, the nearby MRT Station, and has a great view of the harbour. Though it's definitely no five star hotel, at less than $50 per night (depending on when you're travelling to Hong Kong), the futuristic pods make the L'étoile de Mer a quirky and fun place to stay. For availability and current rates at the L'étoile de Mer in Causeway Bay click here!